There’s no Simon Cowell, thankfully, as Carehome.co.uk unveils details of this year’s online talent competition. Once again the popular contest sees residents from all over the UK showing off their talents, with staff encouraged to get involved too. In 2016, the competition was won by a Welsh women’s choir at Alastair House in Rhyl, with their rendition of ‘Any Dream Will Do’. 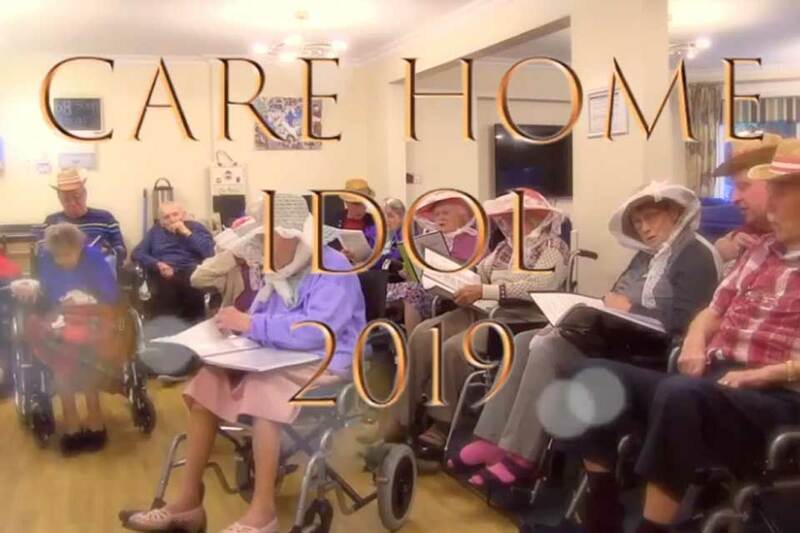 The winner of Care Home Idol will be selected in February 2019 and will be awarded a cash prize and a trophy. Will Blackwell, chief executive of carehome.co.uk, said: “We are delighted to be running Care Home Idol again. The contest is very important to us as it enables people to see the warm relationships that exist between residents and staff. “It also breaks down the barriers between the care home and the outside world by giving a fascinating glimpse into residents’ lives. “In the past we have had the Oldest Choir in the World, a Welsh ladies choir as well as a touching video of a care worker dancing with a woman with dementia to the Monkees’ ‘Daydream Believer’. Care home owner Lakhansi Keshwalla, said: “The video enabled us to share this beautiful moment with everyone.